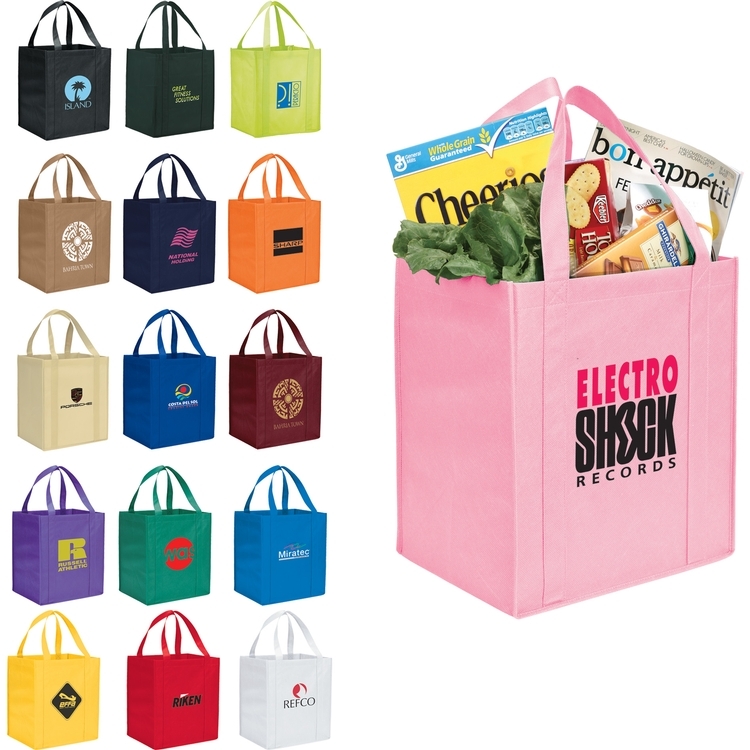 This useful marketing tool can handle your next promotion! 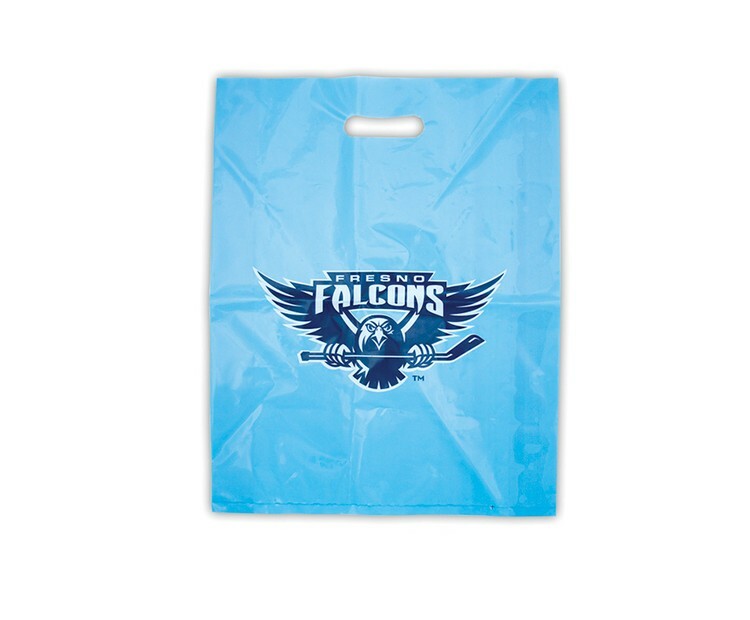 A great die cut handle bag to advertise your brand, this bag is made from 60 GSM non-woven polypropylene with square bottom corners. 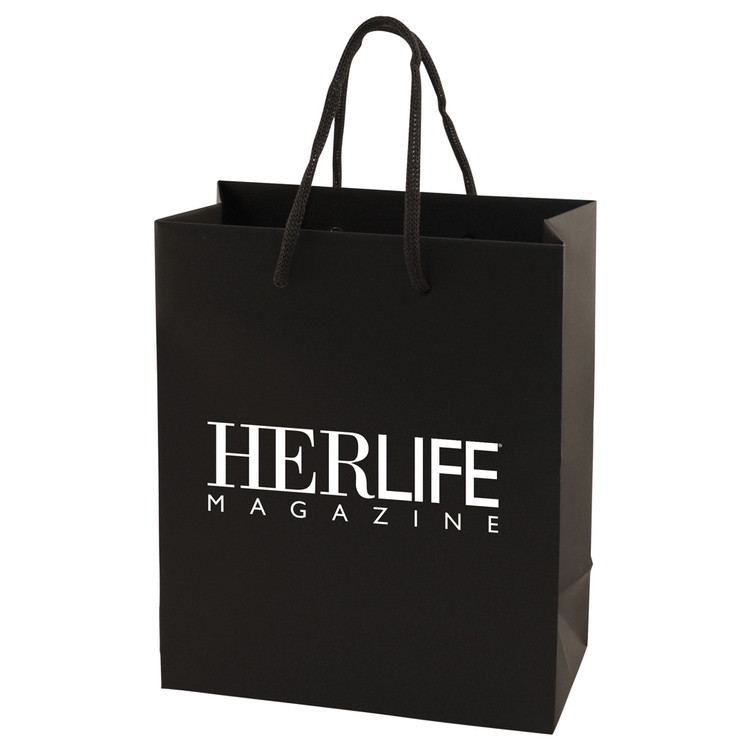 It's the perfect giveaway bag to hold all kinds of goodies, books, magazines, literature, treats and more! 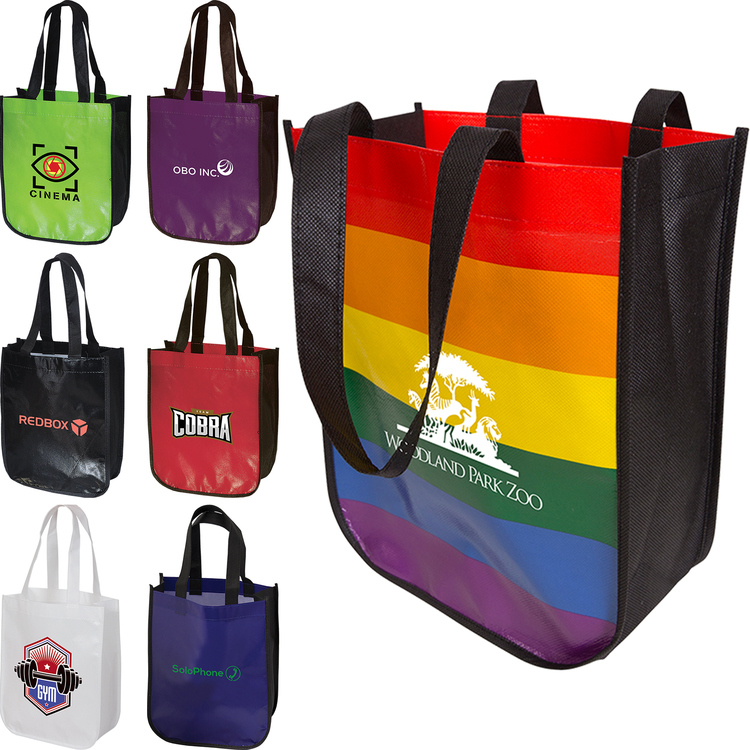 Customize with your company name and logo to promote your brand long after your event has ended. 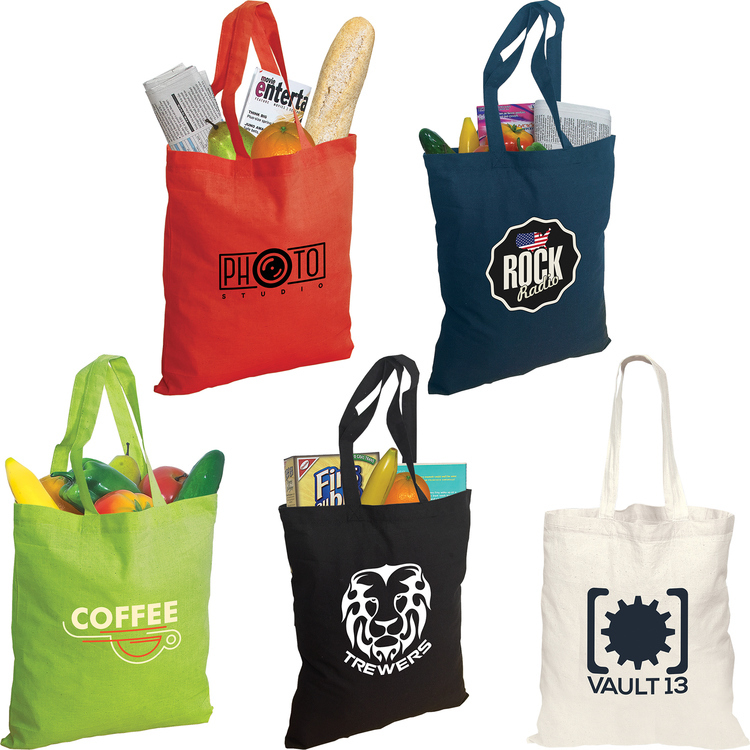 Bag maximum promotional recognition today! 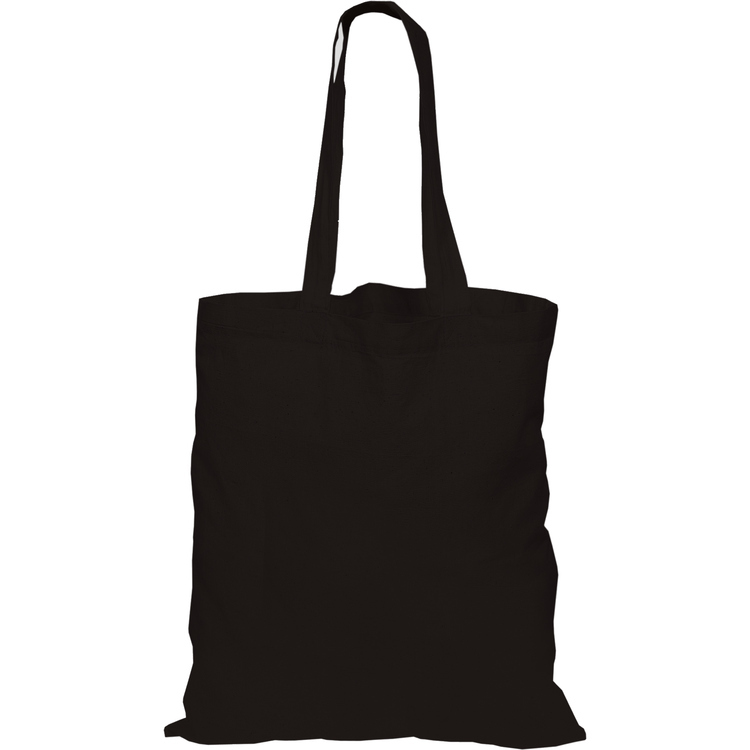 This Tote Bag is Made with 80gsm non-woven polypropylene (Recycle Code #5). 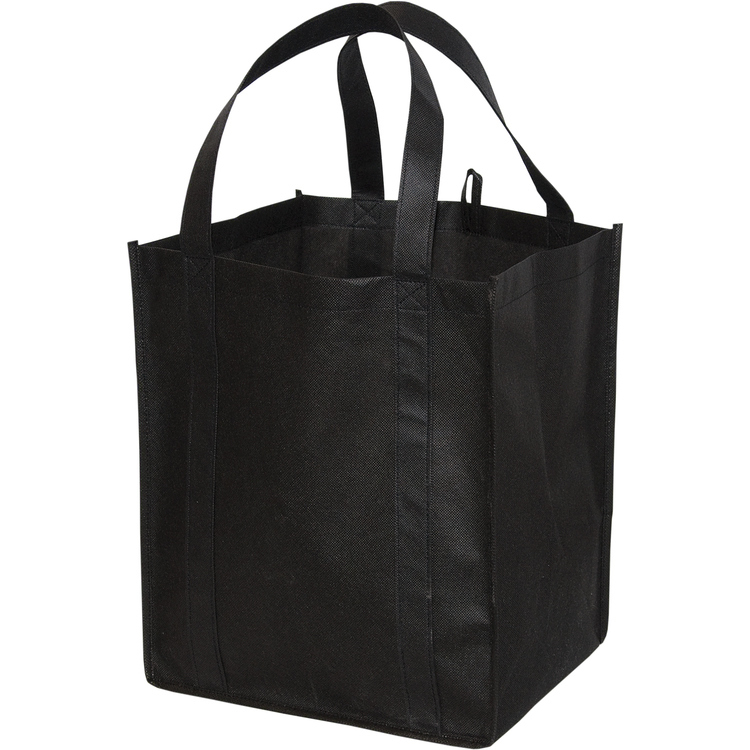 16 x 12" with 6" Gusset and 24" Handles." 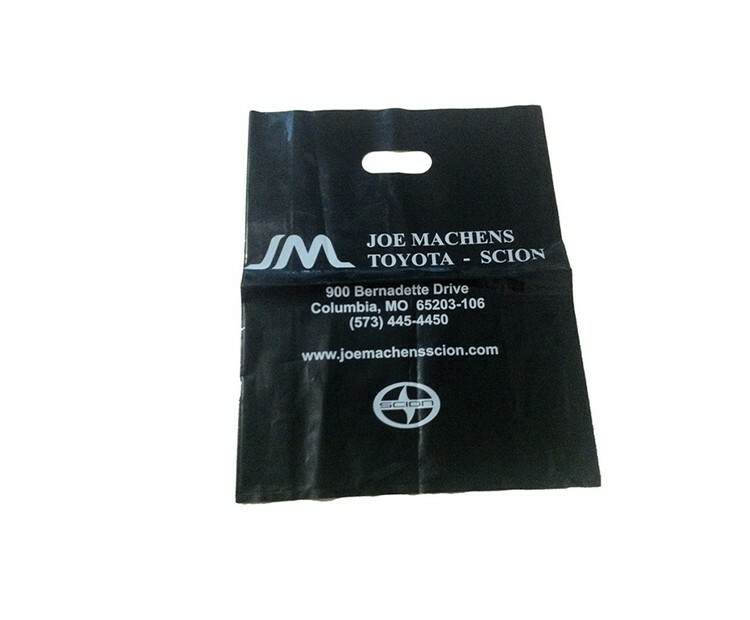 24" x 30" merchandise bag. 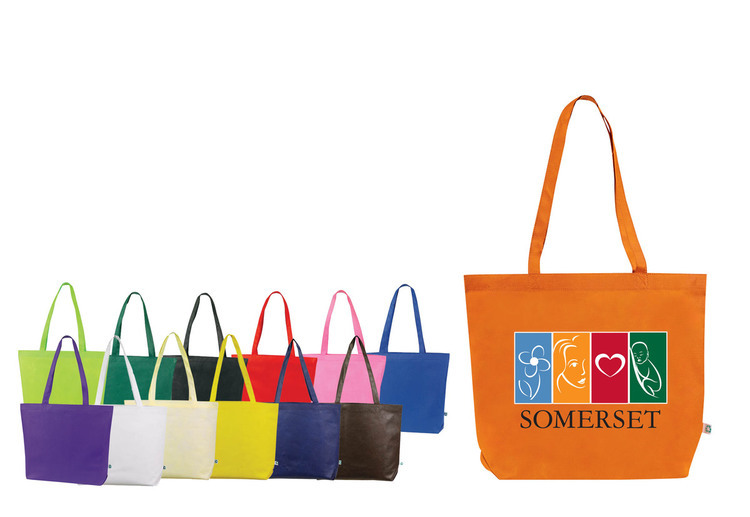 100% recycled polyethylene. Standard density - 2.5 mil. 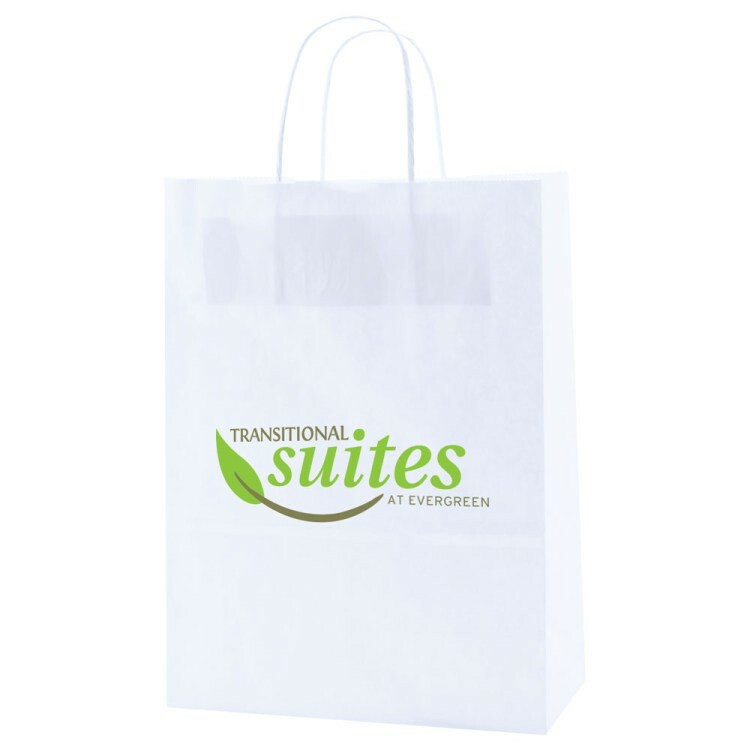 Our merchandise bag features high quality printing at discount prices. 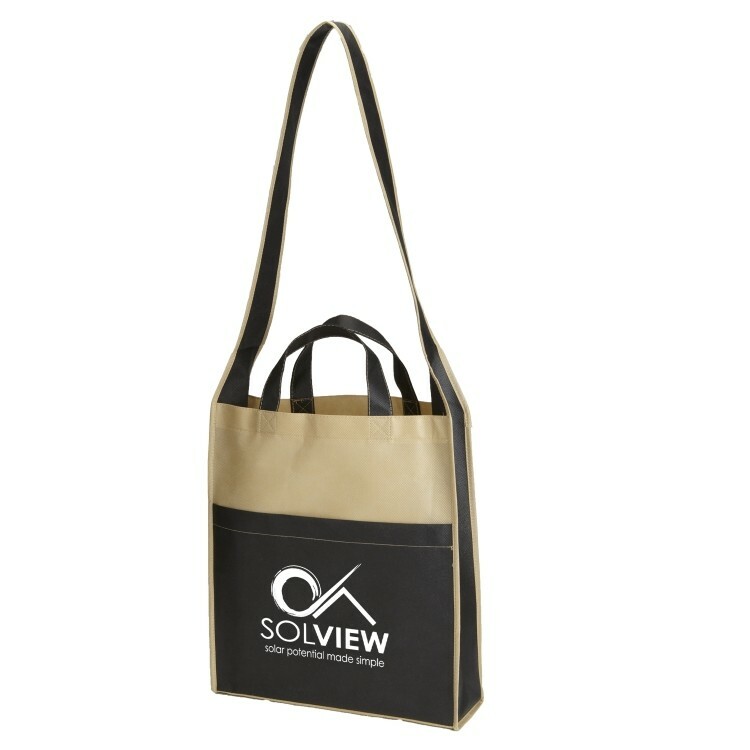 The perfect way to carry all your freebies and giveaways at your next trade show. 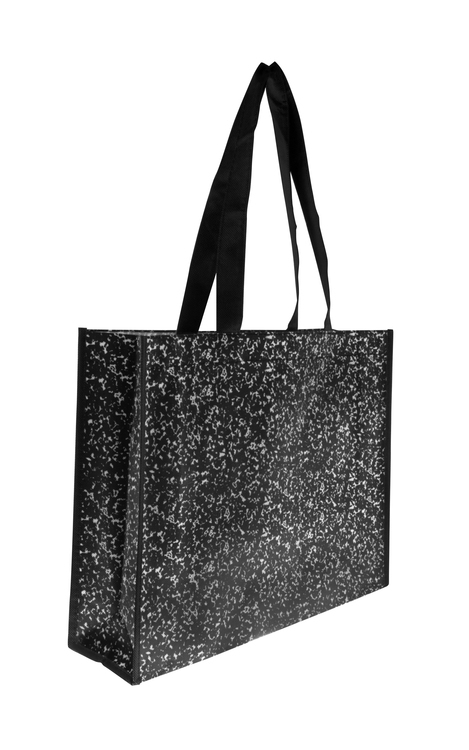 • Comes with a stylish zippered front pocket for additional packing power. • Made of lightweight 210D Polyester. • Packs flat. 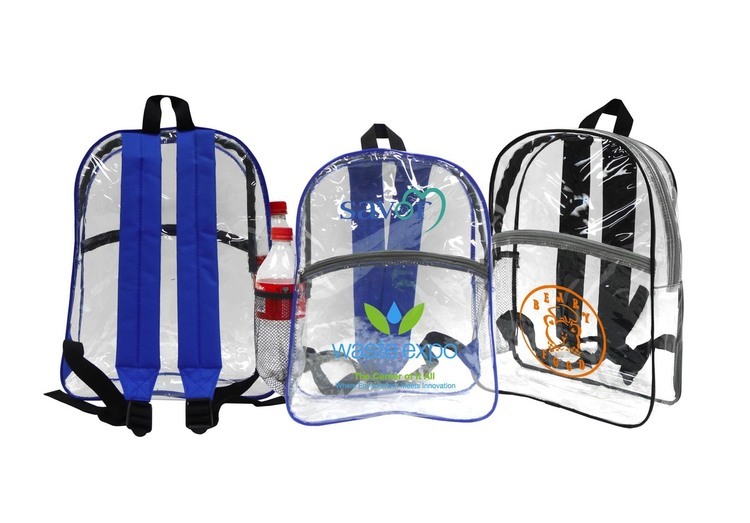 Small sports pack polyester backpack drawstring bag, made of 210 denier nylon construction with contrasting simulated leather reinforcement black trim at the corners. 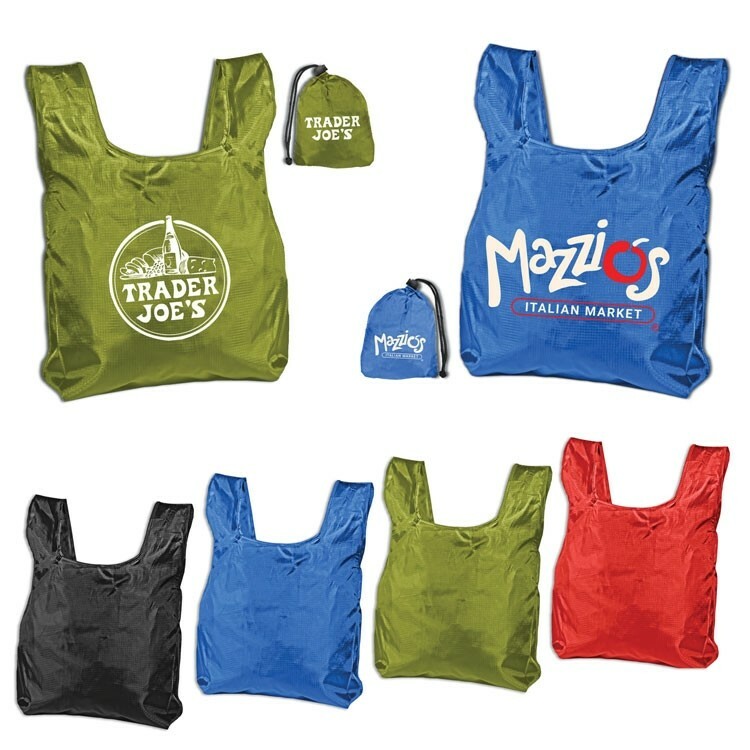 These backpack drawstring bags are spot clean/air dry. 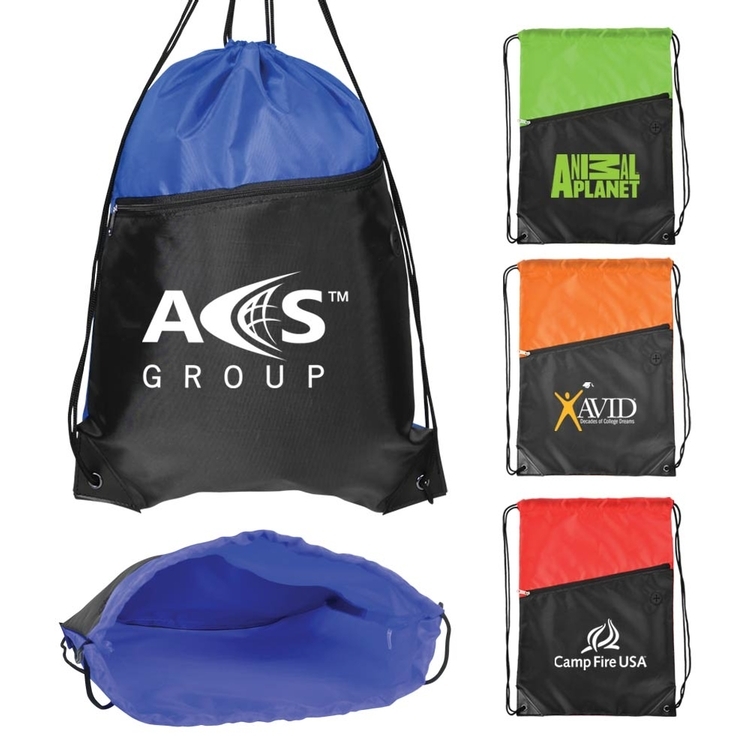 Play sports in style and mark your brand with this great value backpack drawstring bag. 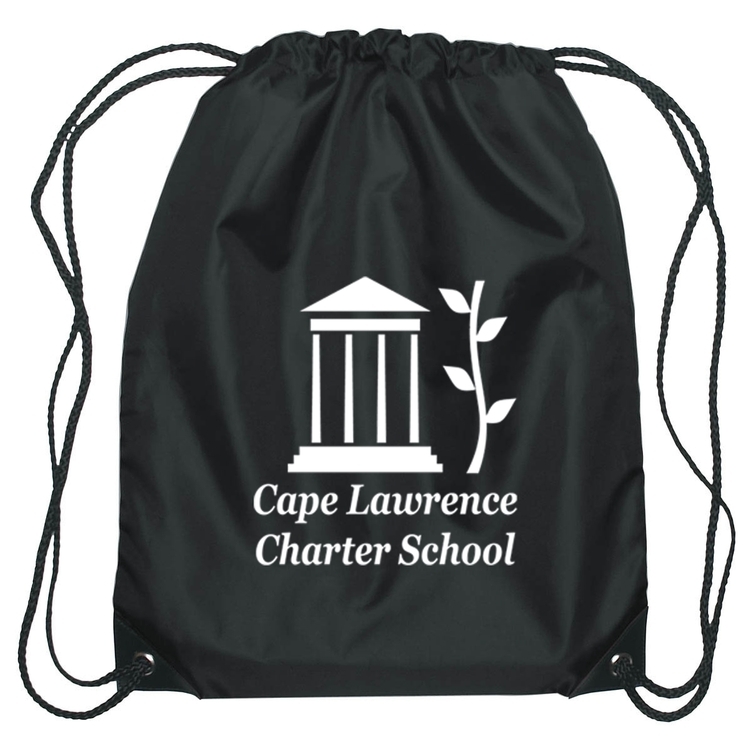 The backpack drawstring bags are now available in a variety of colors! 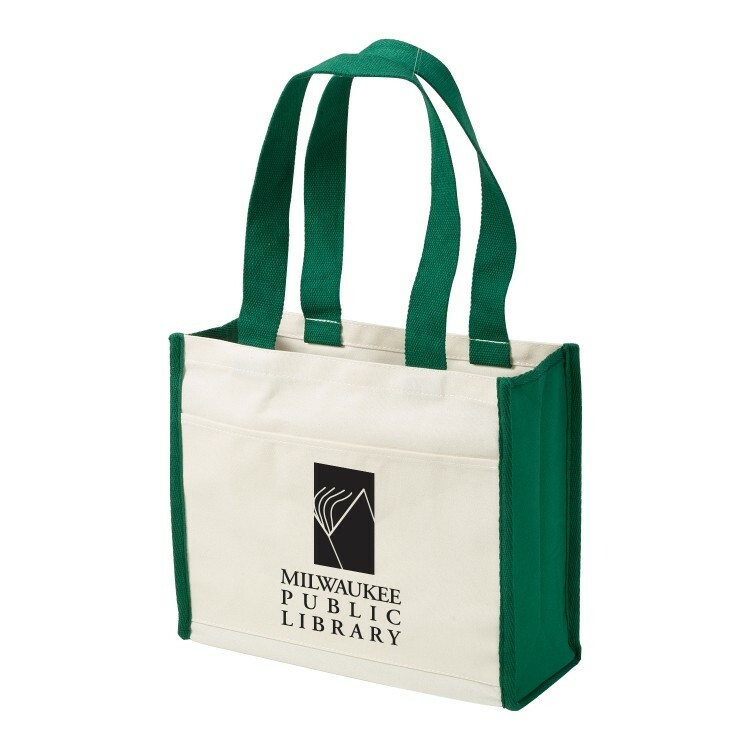 Handy mini-sized tote bag is perfect for a night out or gift-giving. 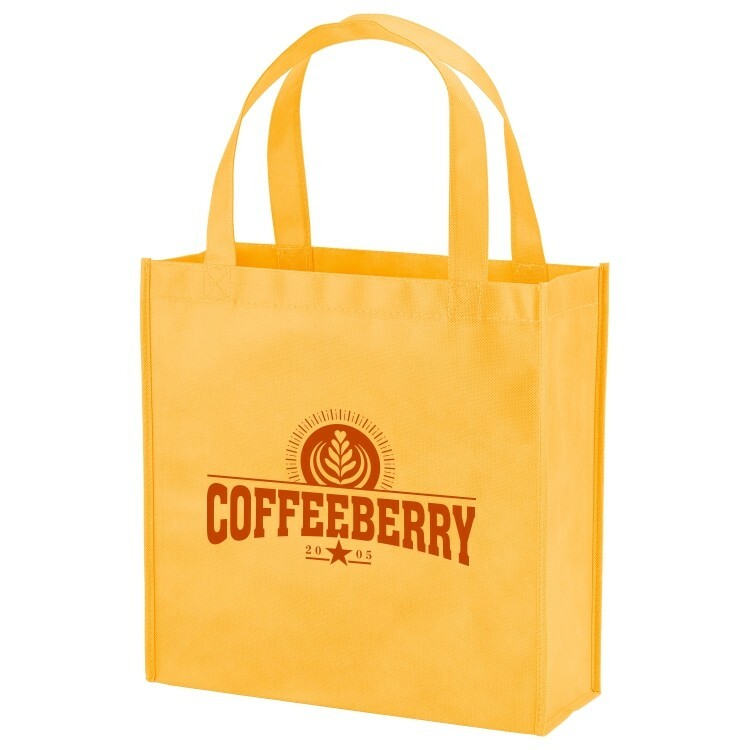 It is made from 75 gram non-woven and 35 gram laminated non-woven polypropylene with some recycled material. 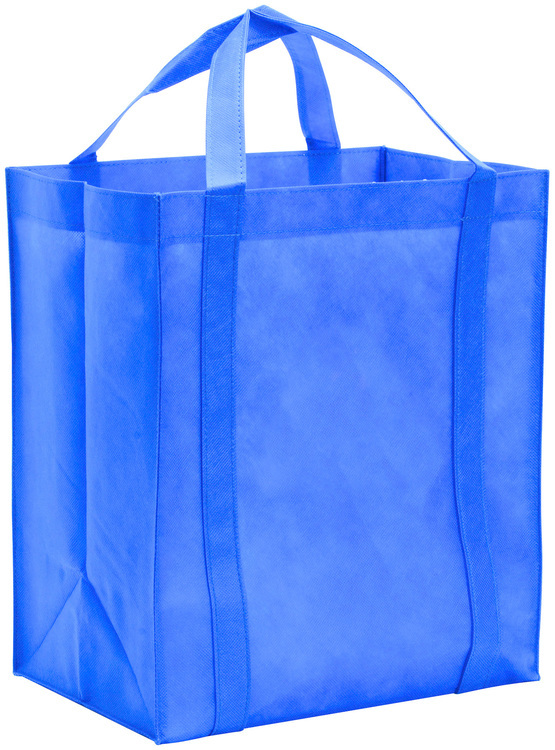 The two 15" handles and gussets are 75 gram non-woven. 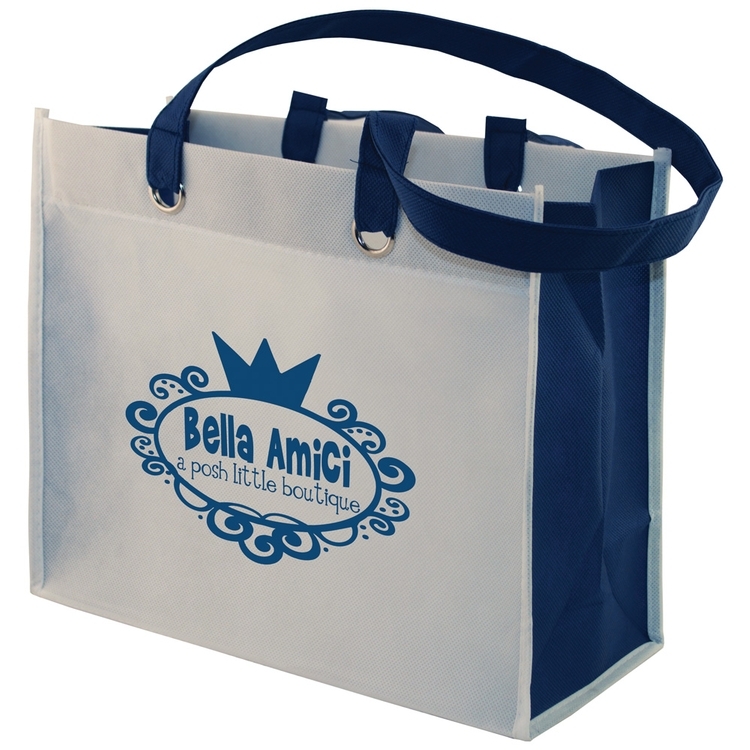 The lamination makes it water resistant and wipes clean with a damp cloth. 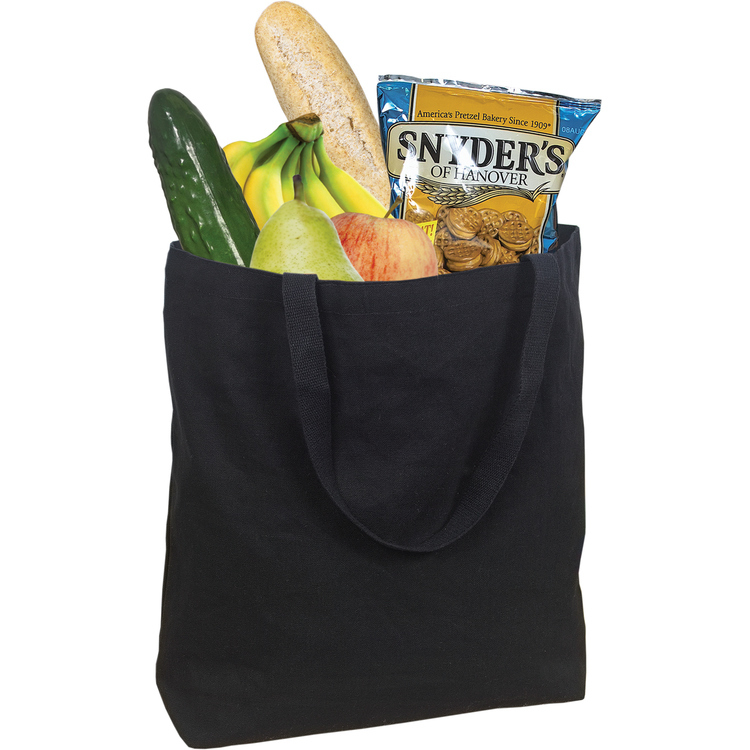 The non-woven 90 gram polypropylene tote is ideal for large grocery loads – as it replaces up to four standard sized plastic bags. 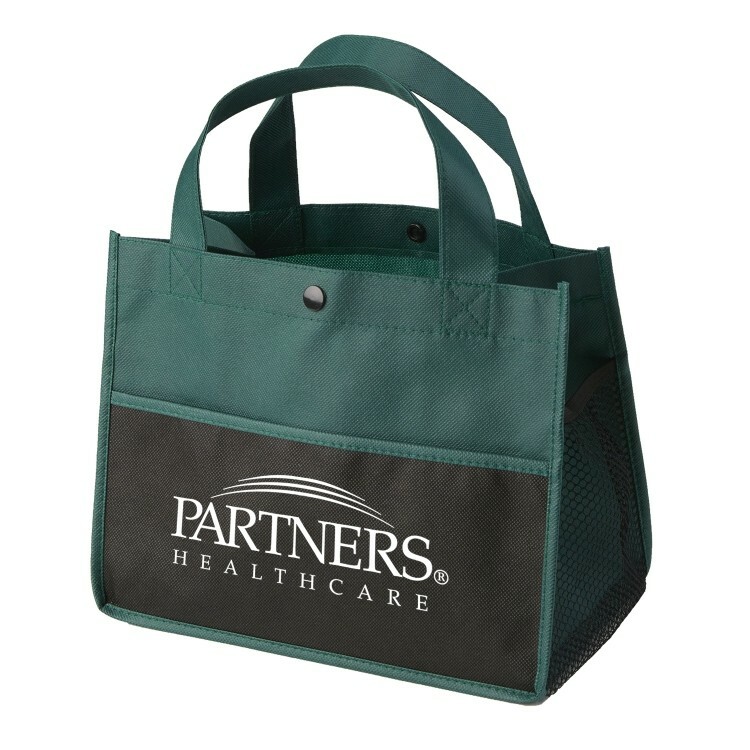 Keep several handy in your vehicle to use at the grocery store. 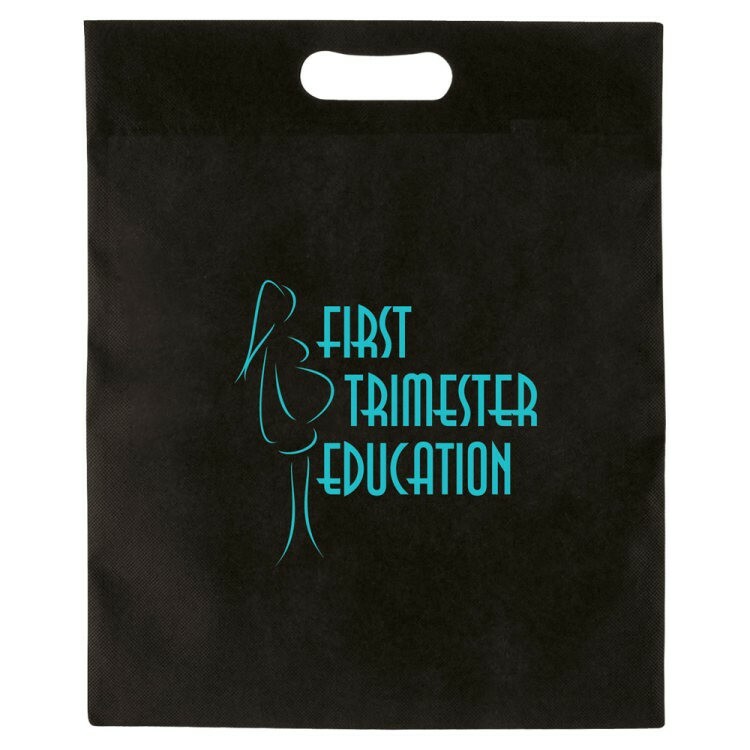 It is an eco-friendly alternative to a plastic bag and can be re-used over and over again with the sturdy self-material bottom base that is sewn in for extra support. 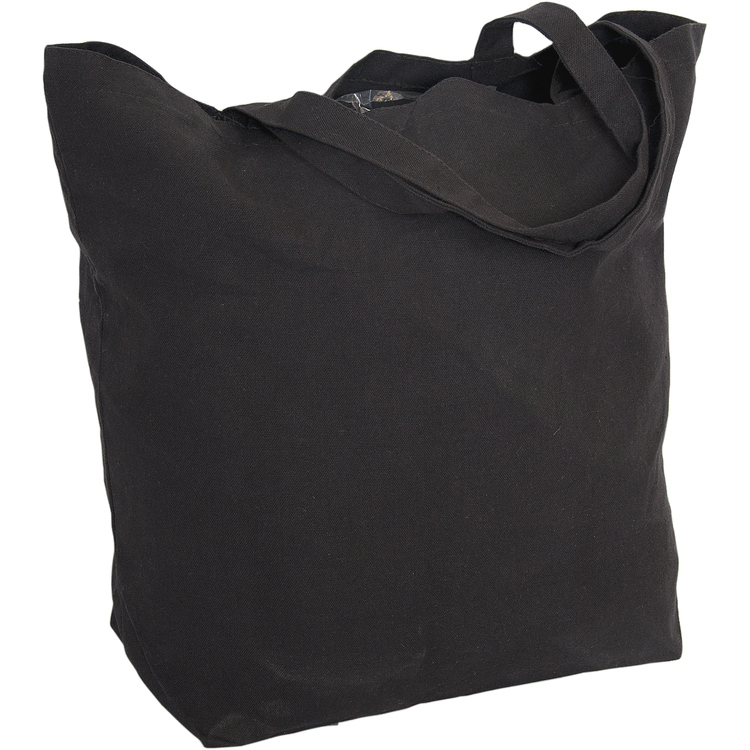 It has two 20" self-material handles/shoulder straps. It has a hanging loop. FDA Approved. 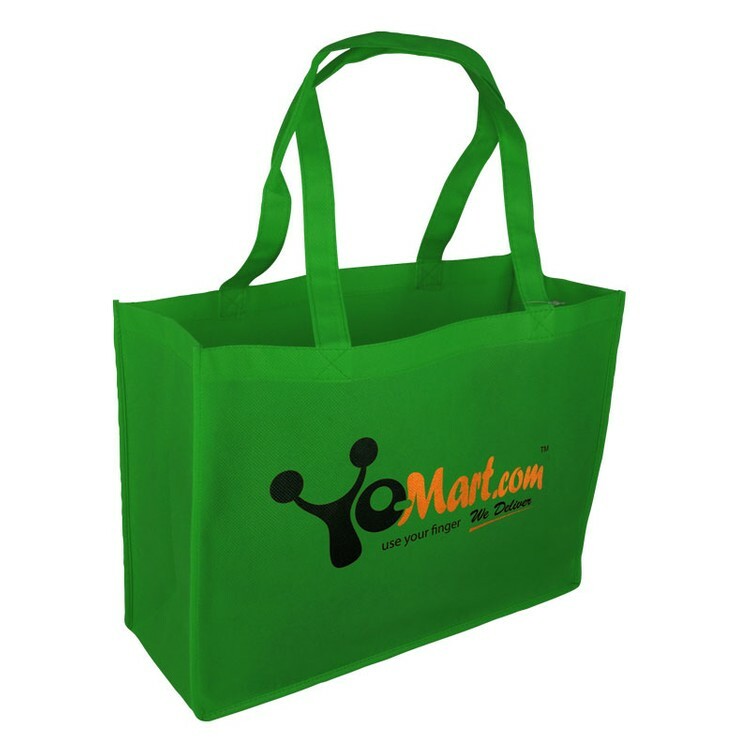 The bag is made with durable 120 gram non-woven and 30 gram laminated non-woven polypropylene. 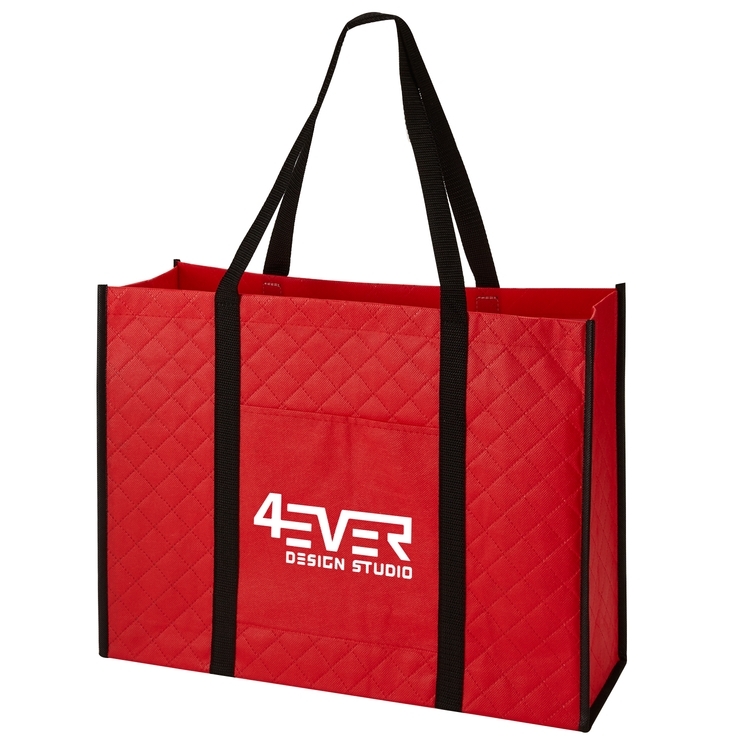 The bag has two 22" long non-woven 75 gram polypropylene handles/shoulder straps. 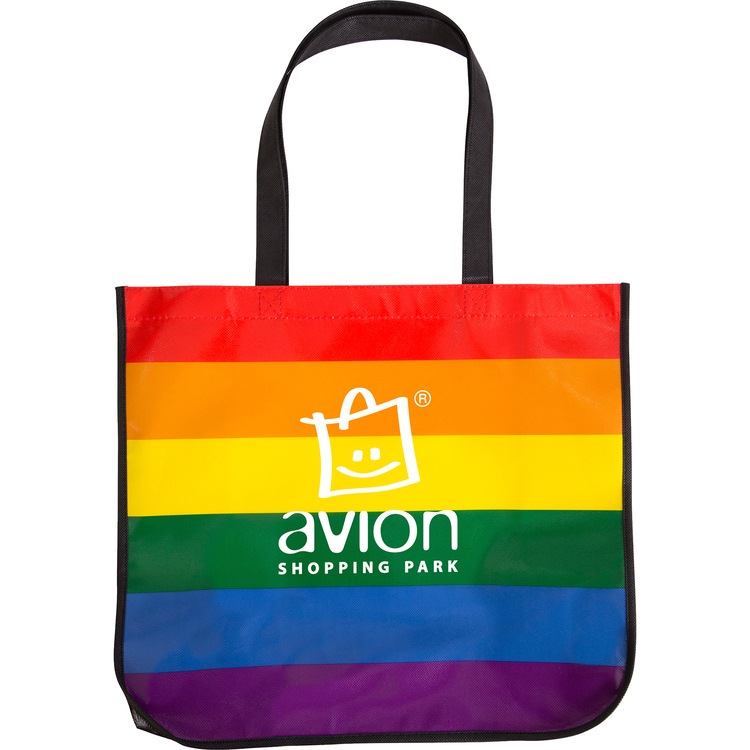 It is preprinted in a colorful design, which is sure to get some attention! 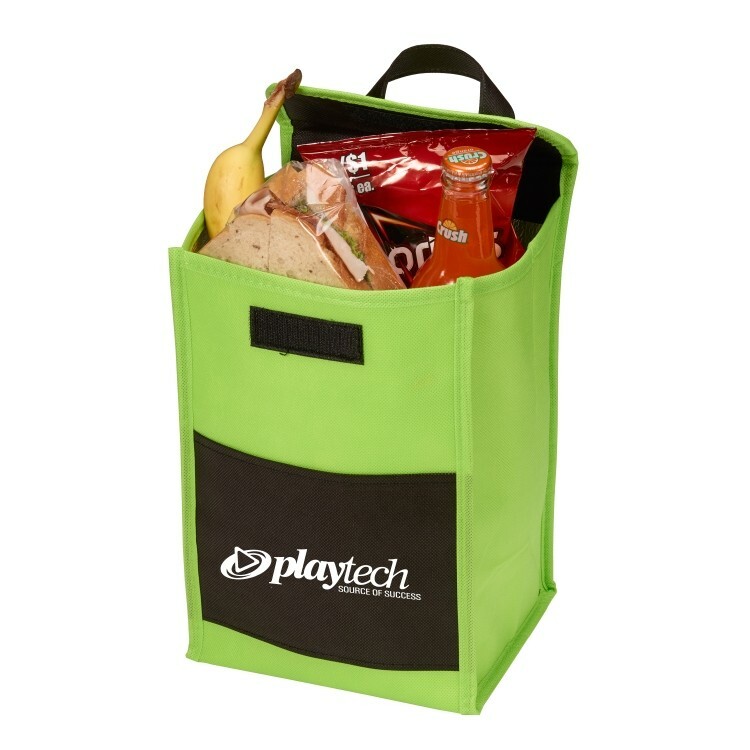 The lamination makes it water resistant and wipes clean with a damp cloth.